Ascension, the largest non-profit health system in the US and the world’s largest Catholic health system, realized a return-on-investment of 338% per year after automating its account reconciliation processes with BlackLine. This is the conclusion of an ROI study conducted by Boston-based Nucleus Research. Headquartered in Missouri, Ascension is committed to delivering care to people who are most vulnerable. Ascension subsidiaries also provide a variety of services and solutions to healthcare professionals and organizations. Ascension has approximately 160,000 associates and 36,000 providers that operate in 2,500 sites in 24 states and the District of Columbia. The organization was using a decentralized finance model that included a number of different ERP systems. Ascension had been using spreadsheets to track more than 20,000 reconciliations, and also faced the prospect of hiring additional workforce and bringing in added IT resources in order to keep up with growth. Management decided to undertake a major initiative to improve Ascension’s financial controls, centralize and standardize its finance and accounting department in a shared service center, and improve its financial controls with process automation. BlackLine’s client-centric approach meant that Ascension didn’t need to hire extra consultants for implementation and support. In fact, Ascension went live with BlackLine in just 90 days. In the study, the Nucleus team measured cost areas such as software subscription fees, personnel time to implement and support the application, user training time, and consulting costs for the second stage of the implementation. The study found substantial benefits in overall productivity gains, despite the organization’s rapid growth. A major saving was reduced audit time, where automation helped shorten the audit process by as much as 400 hours. Ascension was able to reduce maintenance efforts and to bring on large new clients without hiring additional staff. Additionally, the organization was able to re-direct many employees to revenue-generating activities. 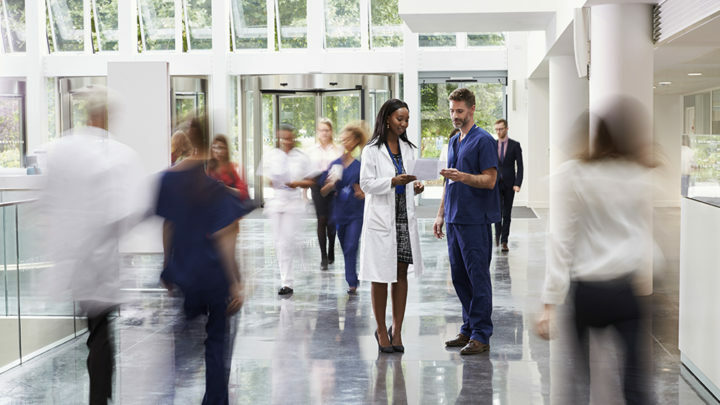 Learn more about how a finance transformation solution can help your healthcare organization keep up with the need for more care.